Sometimes discovering whether you have bed bugs (or still have bed bugs) is the hardest part of this ordeal. 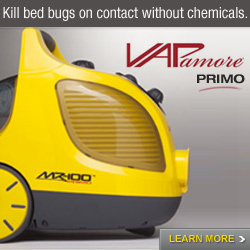 Luckily, 2009 is the year of the bed bug monitor. While some are thinking high-tech, it is also important to know that low-tech monitors are being improved. 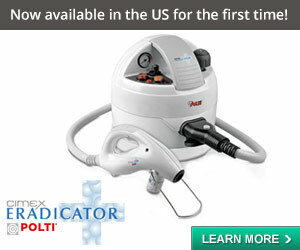 This month, the CDC 3000 is starting to be used by PCOs and a few of the luckier people with bed bugs. The Nightwatch is also set to ship soon, we’re told. The devices cost in the $500 – $700 range, and so they really are not aimed at the consumer market. 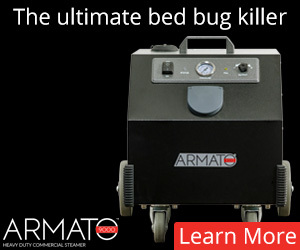 These active bed bug monitors use kairomones, CO2 and heat to attract bed bugs into the monitors, and then trap them. 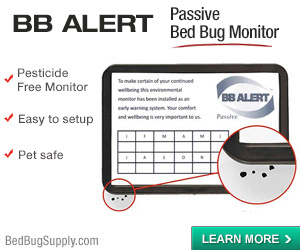 But passive bed bug monitors are also evolving. Traditionally, we have had the glue trap, which really is not very useful at catching bed bugs. Think about it: they’re usually rectangular, and they just sit there. They sit there covered with a thick coating of goopy glue, and people commonly report waiting patiently and nabbing no bed bugs. There’s no easy way to surround the legs of your bed in glue traps. Enter Susan McKnight, who has designed the Climbup ® Insect Interceptor, a passive bed bug monitoring tool which can be used in homes under the legs of bed frames, chairs, tables, and other furniture. The ClimbUp Interceptor is a tool for finding out whether you have bed bugs. 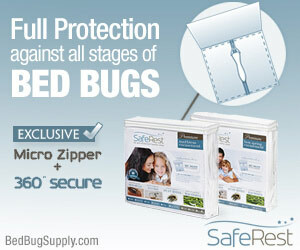 It is not going to treat an infestation, but can help you determine if you have bed bugs, and when they are gone. (Photo courtesy of Susan McKnight, All Rights Reserved). Those bed bugs in the middle were trying to get off the bed / chair / etc. and the others were trying to get onto it. You can imagine how some treatment plans could be improved if PCOs could see whether the bed bugs were coming onto the bed, or leaving from it. Think also of the woman who reacts to bed bug bites, whereas her children and husband don’t. This monitor may allow a much better determination of who is actually being bitten. Climbup ® insect interceptor is ready to use with center well and pitfall ring prelubricated with talc to form slick surface to prevent bed bug escape. The talc will not kill bed bugs. With repeated wipeouts and prolonged use, relubrication with talc is advised. OPTIONAL: To avoid handling of live bugs, a dust (e.g. diatomaceous earth) or nonrepellent liquid (e.g. soapy water, mineral oil) may be added to in center well and outer pitfall ring. Some bedbuggers have long placed a bed bug-free mattress and frame on top of risers or inside of margarine tubs and filled these with diatomaceous earth or mineral oil in an attempt to keep bed bugs from getting into the bed. The moat of mineral oil in a cup around the bed legs can backfire if there are any bed bugs living in the bed, because they become trapped on the bed, and will keep biting you there. The approach suggested on the Insect Interceptor site is not an entirely different idea, but in my opinion is theoretically a much better one: this product is designed to trap live bed bugs and to show which direction they are traveling in, both of which would be very helpful, moreso than simply trying to avoid bed bug bites. A Pest Control Operator could, as the directions also suggest, “Count bugs by developmental stage from each capture area to determine efficacy of control treatment.” A resident could simply count bed bugs, and know if they needed a follow-up treatment, or not. The traps caught more bed bugs than were observed by the inspectors in all apartments. Another interesting observation was that 94% of the trapped bed bugs were in the outer bowl, indicating that they were off the bed. This shows the importance of treating off-bed locations when controlling bed bugs. These devices might be especially useful for clients with low budgets and a high motivation to help with the elimination program. Of course the effectiveness of the bowls depends on eliminating contact of the bed and bedding with the floor and walls. I understand that Changlu Wang’s research will be published soon (and we’ll let you know when it is). In the meantime, you can download a brief but interesting PowerPoint of his presentation at the ESA in Reno, 11/2009 by clicking here. For this reason, it would not be a bad idea for everyone to have these under their beds and chairs, sofas, etc. Wang’s finding that only 40% of the residents had bed bug bites reminds us that everyone needs an early warning system that they have a bed bug infestation. 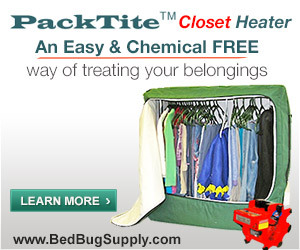 Those receiving bed bug treatment need to know when bed bugs are gone. We look forward to reading Wang’s research results and to hearing from people who have used the product. Update 4/23/2009: This month’s issue of Pest Control Technology has an article by Changlu Wang, Timothy J. Gibb, and Gary W. Bennett detailing the study of the Climbup ® Interceptor. You can see the contents of the April PCT issue with a link to the article here. Climbup ® Interceptors are now available from Bed Bug Supply, as well as from Residex and Oldham Chemical. In New York City, you can get them from Standard Pest. 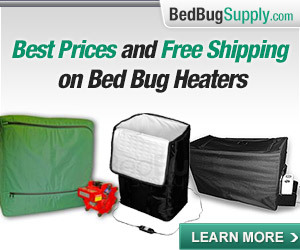 (Bedbugger has an affiliate relationship with Bed Bug Supply and Amazon which means that if you purchase through our links, it helps support this website at no additional cost to you. Please read our disclosure policy here. “Detecting Bed Bugs Using Bed Bug Monitors,” written by Changlu Wang, outlines options for detecting bed bugs, including tips on using ClimbUp Insect Interceptors and instructions on how to implement the active dry ice monitor Wang’s office developed. You can download it for free from the Rutgers website. Why bed bugs already resident in bedframe or mattress should climb down from it? 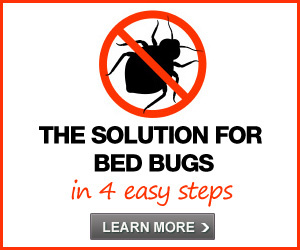 If you are sleeping in the bed, there’s no urgent need for bed bugs to leave it. Bed bugs will often stay and harbor in the same place, and we’re told they’re most likely to do so where you sleep. But we’re also told that all bed bugs will not always harbor where they always were. Dr. Steven Kells tell us a small but valiant minority will forge off on their own to start new harborages. He’s been researching what triggers this. This is one example I can think of of why a small number might cross the trap outwards from the bed. But keep in mind, as Mike Merchant is quoted as saying above, 94% of bed bugs caught by the monitors in Changlu Wang’s study were found in the outer pitfall of the trap. This is significant — it means that in most of these cases, most of the bed bugs were living in the room, wall, floor, or other furniture, and climbing ONTO the bed to feed when they were caught. I am just speculating and we will know more after we see the report by Wang, but I suspect that bed bugs were removed from the frame and the mattress and box carefully encased before treatment; if so, we would expect most bed bugs to be coming from elsewhere. In my opinion, no one should be placing these monitors under their bed legs when they have bed bugs in and on an unencased mattress and box, or frame. If someone had a bad case of bed bugs, left the bed as is, and plopped its legs in the Climbup TM interceptors, this would not be a good plan. 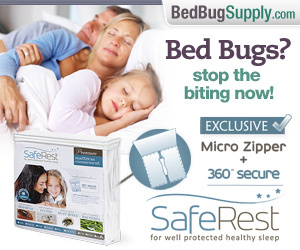 Most bed bugs would stay in the bed. Even though some bed bug Outliers would set off for other harborages, the majority would probably keep biting and breeding and living in the bed. 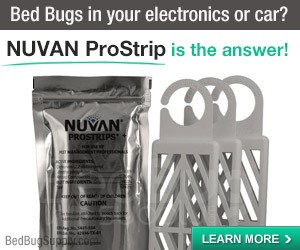 That speaks to a need to make sure you (or preferably your PCO techs) remove all bed bugs and eggs from the frame and carefully encase box spring and mattress in a good encasement before using this device, if you have an active infestation. Adult females are subjected to repeated traumatic insemination by males if they remain on the bed. 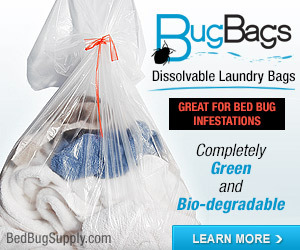 Blood-fed adult females are often found separate from all other aggregations of bed bugs. Thanks to both for your answers. I’m not saying the trap isn’t useful, and I’m strongly interested in any new tech to fight bedbugs. 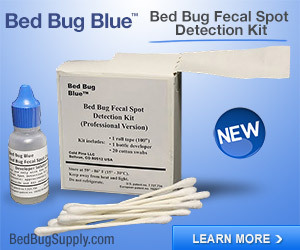 It looks like a good monitoring tool and a new way to study part of bedbugs behavior. I guess i.e. 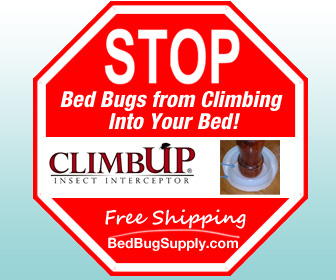 that Climbup traps should be very useful in a bedroom after the treatment, in order to prevent bed recolonization by bedbugs (evenctually) surviving in the rest of the room. Knowing what direction bedbugs are coming from to climb the bed it’s very intriguing but, if the bed is already infested, I have to assume that bedbugs are however probably present in a lot of other hidings out of the bed too, and that is necessary to treat every possible harbourages all around the bed, not only in the direction noticed by the traps. When I said it was helpful to know which direction bed bugs were coming from, I was specifically referring to whether they were coming onto the bed or going off of it. That’s all. I would not try and speculate where they were headed ultimately. 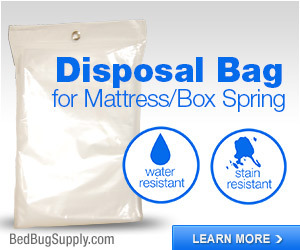 I agree all harborages must be found and treated in order to get rid of bed bugs. Why aren’t these traps considered a possible 100% cure (not that you wouldn’t also be pursuing other avenues of bug destruction, of course)? Don’t bed bugs always have to come to you to feed? Why wouldn’t they eventually catch the entire population — particularly if you also protect yourself during the day with, for example, the same protection under your chairs, frequent clothing changes, etc.. Bed bugs can harbor on a bed or bed frame, for example, or inside a chair frame or cushion. So they do not necessarily have to leave those items of furniture, or crawl onto them, in order to bite. Climbup interceptors appear to be a useful detection tool, but not a a 100% cure, not by a long shot. After being treated successfully about a year ago by an exterminator and the dogs, I put Diatomaceous Earth around the legs of my bed and the perimeter of much of the apartment, along with double-sided carpet tape on the legs of most furniture. It looks like a lunatic lives there, but so far, so good. I figure if there are any bugs still in the apartment–off the furniture & bed, of course–they’ll have to crawl thru the DE and the tape to get to the bait (i.e., me). Theoretically, you’re using a similar idea. I note that it’s not a good idea to kick up and breathe DE, nor to make contact with it with your skin. For this reason, I’d prefer the Climbup idea. We have not heard a lot of positive feedback about double-sided carpet tape, though some people do recommend it and claim to catch samples on it. I just purchased DE, the food grade brand. I am told this is safe and in fact can be healing for humans and pets if ingested. Is this not dangerous to pests? Did I order the wrong one? I have an eighteen month old and just couldn’t see bringing anything potentially hazardous into the apartment. I just ordered the CLIMBUP and owuld like to use the DE with it. Just wanted to make sure food grade is safe and effective. I read that it is. Plain, food-grade, freshwater DE is the safer kind. Nevertheless, DE should still not be inhaled (not good for your lungs), and you probably do not want to have regular contact with your skin (which can be drying). The ideal use would be to dust sparingly inside cracks where you will not kick it up or make contact with it. Dusting lightly inside Climbup TM disks could probably be done safely too. You can see our DE FAQ for more suggestions: we recommend a respirator mask for safety (avoiding inhalation of dust). I just purchased the interceptors a few days ago, and haven’t caught anything yet (hopefully a sign that the treatments worked! 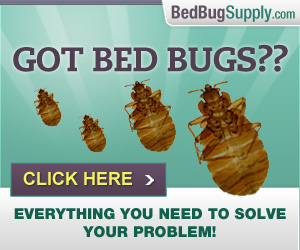 ), but my bed bug guy said I had to “maintain” them every few days. He said something about blowing on them to get all dust out, but wouldn’t that remove the powder too? Do I need to be doing this every few days? If not, how else should I maintain them — ie. how often should you “replace” the powder that is in there (assuming you’re not catching bugs all the time, and they’re mostly remaining empty so you don’t need to clean them out..). That does not seem to be anything like what your PCO is recommending, and frankly, I’d go with the manufacturer on this. To answer your question about replacing powder — I would suggest adding a bit of Diatomaceous Earth in the center well and outer pitfall ring (food grade/fresh water DE only, see the DE FAQ!) DE is a mechanical killer. But I think it is a matter of adding a light dusting of DE, not removing or replacing what is there. You will probably rarely need to add more. Please note: I am basing this entirely on the manufacturer’s instructions, and am neither a pest management professional nor an expert on Climbup TM Insect Interceptors! I was treated for these annoying pests over the winter, and I am still not certain that they are gone. I still wake up w/ a red, itchy bump or two almost everyday. My PCO has done several long inspections, but hasn’t found anything. I just put the Climb Up dishes on the beds last night. So far, nothing. I am wondering if anyone has had success with these?? 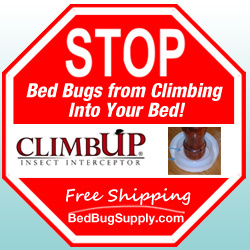 Climbup TM Interceptors will ONLY catch bed bugs which are climbing onto or off of your bed. If they’re harboring on the mattress or bed frame, they may not venture off (though if you wait long enough, an “outlier” may venture off to set up a new home, or to bite someone not on the bed). I expect you may need to give it some time. Feel free to repost your query in our forums, where you may get more responses from users. I got these 3 days ago after my tenant complained of bedbugs. But after talking to them further, one of the couple backed off and started saying they may not have them after all; while they other said they probably have them. I asked them to put 4 of the interceptors under the bed and the next day, we saw one in the inner ring – meaning it climbed down. I’m putting these everywhere and recommending to everyone. Maybe I’m a bit confused, but if the bed bugs are already in your bed and they climb down the post into the interceptor and can’t get out of the center well, wouldn’t they just climb back up the bed post? Or does the talc powder rub off on their feet and prevent them from climbing back up the bed? By the way I’m using these climbup interceptors in conjunction with a bed bug mattress cover for about a week now. So far, no trapped bugs, but I still think I’m getting bit occasionally. I’m going to have to disassemble and spray down the frame again I think. So it does sound like they can’t get back up once they’re in the center well. They aren’t killed by the talc, though, and there’s a suggestion in the directions quoted above that says you can dust (a LIGHT coating of freshwater) diatomaceous in the well and pitfall, if you want to actually kill them. Question: If I have a newly encased mattress that has been well vacuumed and use the climbup interceptors under the legs of a steel mattress frame, can’t I feel pretty confident that I can at least be safe in bed?